Managing PR projects is overwhelming. And even that sounds like a drastic understatement. There’s so much you could do, but what should you do? The marketing frameworks I’ve learned over the years have helped me prioritize, organize, and focus everyone on the right projects that drive insane growth. 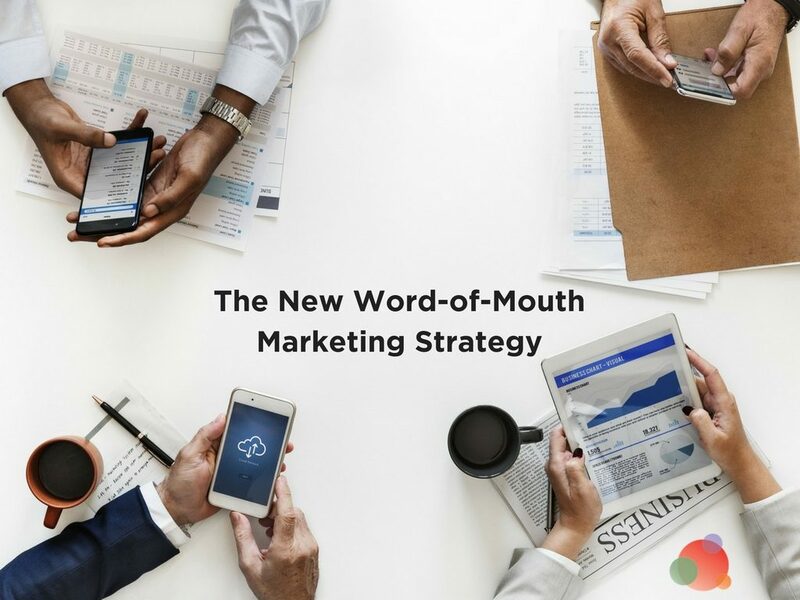 These strategies have increased page views by 434 percent, email subscribers by 1,222 percent, and marketing-qualified leads by 9,360 percent. Subsequently, these results have helped us grow CoSchedule into the #1 best-selling marketing calendar in the world. Lots of tactics went into this. However, much of the success is based on marketing frameworks that help us use our resources as efficiently and effectively as possible. What is a Marketing Framework? A marketing framework is a roadmap that guides you and your team with thought processes that direct consistent, efficient, and effective execution. Here are my top 10 marketing frameworks for you. PR and marketing pros need to produce content that produces results. That means knowing the goal and understanding how you’ll measure results before you publish anything. It might sound obvious to some, but I know marketers who simply publish content. And I’ve worked in businesses where publishing content was all that happened. With management like that, it’s obvious why marketing departments are among the first to see layoffs during hard times-because they don’t prove what they’re doing produces a return. It’s not that they can’t prove return-on-investment. Framework: PR and marketing are about producing results, not just producing content. 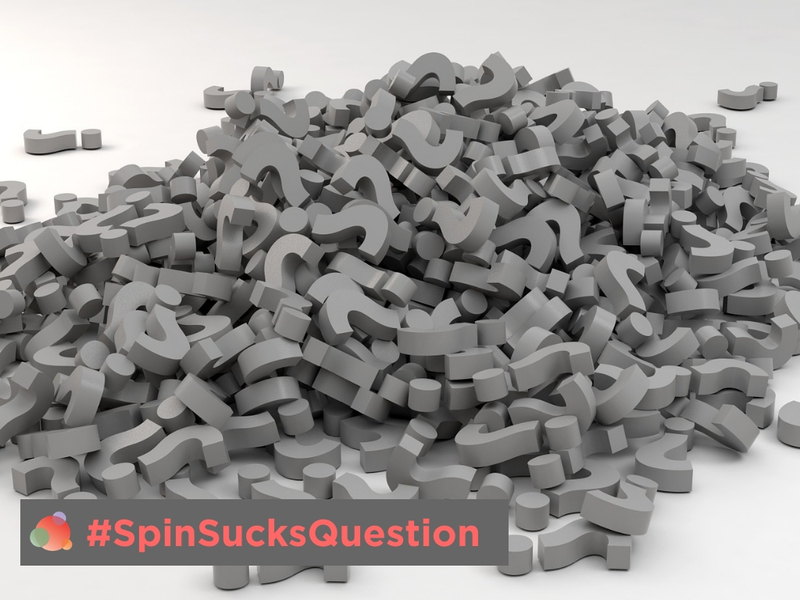 Ask yourself: Why am I creating content? Measuring all of your efforts against a single metric produces the best results. There are dozens of metrics you could measure: Social shares, page views, email subscribers, and the list goes on. What one actually matters most? Choose one, then focus every resource on increasing that metric and nothing else. This gives you and your team permission to focus, to say no to the wrong projects, and to start proving your return. Framework: Every effort exists to influence one metric (and nothing else). Ask yourself: If I could only measure one metric, what would it be? Brand voice is how you present yourself to your audience. On the other hand, brand positioning is how your audience perceives your brand. 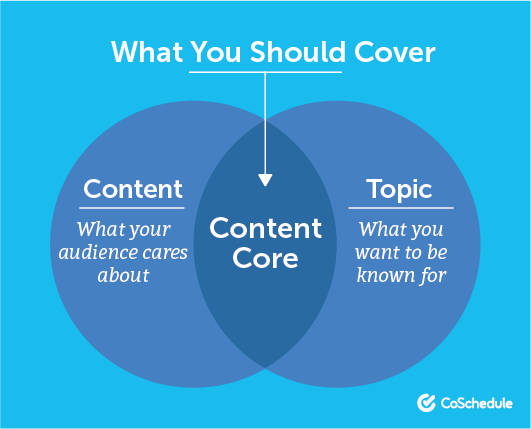 Your content core is the perfect balance between covering topics you want to share and providing information your audience cares about. Instead of pushing content on your audience, the marketing framework helps you create something so in tune with your audience’s needs they actually seek it out on their own. In this way, you strategically find a brand voice focused on audience context that positively influences your positioning. Framework: Find the balance between what you want to talk about and what your audience wants to hear. Ask yourself: What’s in it for them? The best ideas executed poorly don’t produce the results they could have had you set a solid game plan from the get-go. For example, you could just dive into creating your next PR project right now. However, in my experience, it will be more successful if you take the time to research your audience, define how you’ll collaborate with other team members, and schedule how you’ll promote it well before you launch. Framework: Plan your work. Then work your plan. Ask yourself: What will I need to do to make this project produce the best results possible? Perfectionism prevents you from publishing content quickly. The only way to generate results from content is to publish it. If you don’t ship, you actually haven’t started anything at all. Hire smart people. Train them well. Establish workflows. Approve the workflows. Trust the team to follow the workflows. Ship as fast as possible. This may mean publishing something with spelling errors. Or grammar mistakes. Or less design. Those things will not decrease the results your content will produce. I’ve tested this. However, focusing too much time and energy on these tedious tasks will prevent you from publishing. That subsequently prevents you from making your goal a reality. Framework: The simplest approach is often the best place to start. Shipping is better than perfection. Ask yourself: What can I ship now with the least amount of effort that still has the greatest potential to influence my goal? Ever feel spread too thin? There’s a simple marketing framework to help you solve that problem: Do fewer things. Multi-tasking is scientifically proven to be a lie. 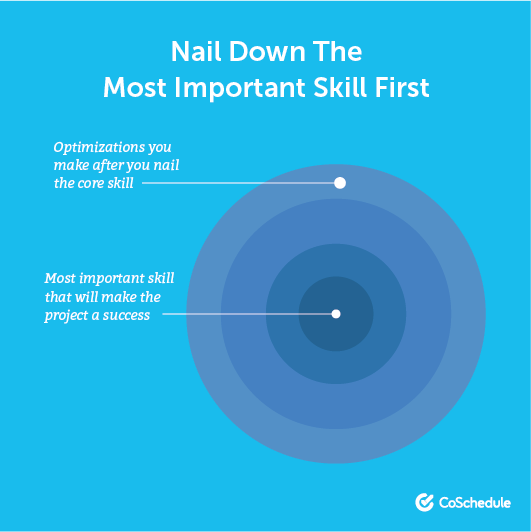 Another side of this framework suggests that you build one skill around one thing at a time. So instead of writing the introduction to a news release, then writing a social media campaign, then drafting a blog post—focus on nothing but writing the awesome news release for as long as it takes to create the best one ever. Then focus on the social media campaign (this may even be weeks later). Then focus on the blog post. Over time, this practice is proven to help you create good habits that will help you do the work even faster, thus speeding up your efficiency as you create effective PR projects. Framework: Do one thing well. Then move on to the next thing. Ask yourself: Where should I focus first? Not every piece you publish will generate the results you want. Also, not every project will flow seamlessly, despite your best efforts. In these situations, identify what’s not working as fast as possible. How can I make sure something like this doesn’t happen again? The answers prepare you to work more efficiently and effectively moving forward. Ask yourself: How can I identify and stop doing what’s not working as quickly as possible? Whether you fail or succeed, every piece you publish is a learning opportunity. Analyze the projects you’ve shipped to identify trends to repeat in future projects (and trends to avoid). From here, define a standard of performance to guide every effort moving forward. This marketing framework establishes the definition of done—a checklist of sorts where all boxes need to be checked off before you consider a piece complete. Great topic centered around our content core. Keyword-optimized so our audience will find it long after it publishes. Well-researched with every claim backed by data. Comprehensive, so our audience only needs to read one article on the topic. Ever. Extra value added through bonus templates, guides, kits, and more. Framework: Use your successes (and failures) to boost your effectiveness. Ask yourself: What does finished look like? Imagine this: You publish a blog post, and someone comments about a spelling error. You stop what you’re doing, log into WordPress, and search for the blog post. You read it until you find the error, correct the error, save the blog post, then preview the blog post to make sure everything looks good. You reply to the comment, and then try to get back into what you were doing before. What a waste of time and mental energy. Again, that one spelling error will not change the results that blog post produces. However, correcting that spelling error does take your time away from your current project that will produce bigger results. 10x projects offer repeatable, measurable, sustainable, and scalable growth with as little maintenance and ongoing effort as possible. An example of a 10x project is the CoSchedule headline analyzer, which has generated millions of page views and 100,000+ email subscribers since its launch. That project took us two weeks to research, build, and ship. It takes zero maintenance to continue bringing in massive results. Now imagine spending 100 percent of your time on nothing but shipping 10x projects. Your results would be insane. 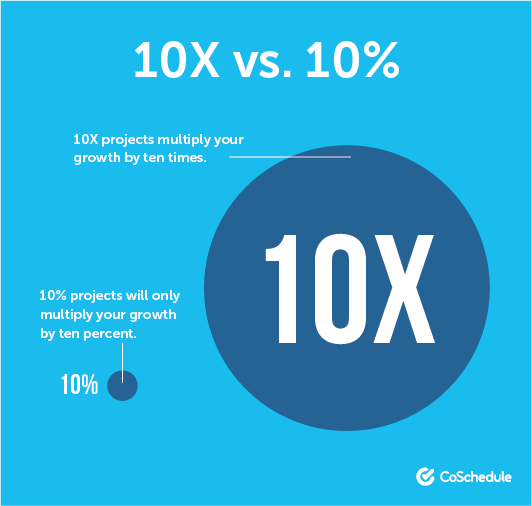 Framework: Forget the 10 percent improvements and focus on nothing but 10x growth. Ask yourself: What is the one thing I can do today that makes everything else irrelevant? Publish the best content in your niche on the internet. Doing anything else just adds to the noise. The world doesn’t need more noise. 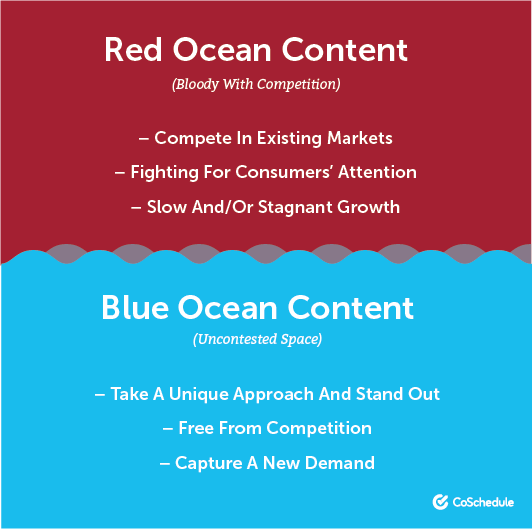 The competition-free content framework is loosely based on an idea from a book called Blue Ocean Strategy: How to Create Uncontested Market Space and Make Competition Irrelevant. The ocean is bloody red when businesses fight for market space. It happens when everyone is doing the same thing, me-too kinds of content and projects. The ocean is blue when you find, leverage, and invent new opportunities no one else is taking advantage of. Examples of competition-free content include publishing the go-to book in your niche on a topic nobody has covered in detail… creating an ultimate guide that covers everything your audience needs to be successful on a specific topic… and shipping tools that help your audience solve problems. Framework: Publish content unlike anything anyone has ever seen. Ask yourself: Where’s the wide-open expanse where I can grow the most? 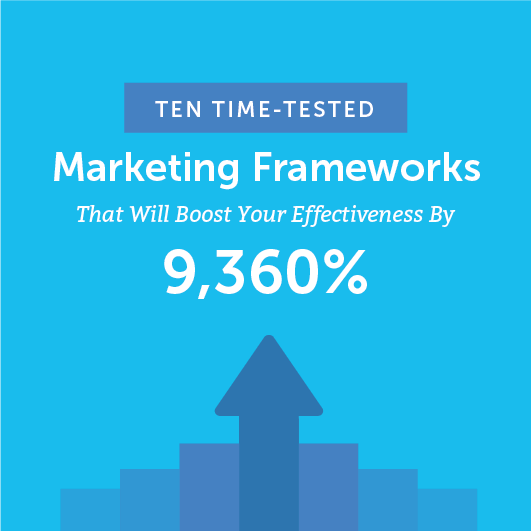 What Marketing Frameworks Drive Your Business? These are my top 10 marketing frameworks that have helped me and my team grow CoSchedule by a TON. Of course, a lot of this success has to do with the hard work our developers, UI/UX designers, and customer success team put into building an amazing product, too (thanks, guys!). What are your frameworks? Let’s learn and grow together by sharing in the comments below. Nathan Ellering is head of marketing demand generation at CoSchedule, the #1 best-selling marketing calendar for everything you need organized. He loves strategy, vintage vinyl records, marketing, craft beer, blogging, new ideas, and demand generation. Though not exactly in that order.